When patients do research into dental implant supported tooth replacement, one of the things they’re interested in is the success rate. However, they’re often frustrated to find conflicting numbers. Some sites say implants are successful 98% of the time and others say 80%, 75%, or lower. Don’t get frustrated. Read this post and get informed about the variables that increase or decrease success for dental implant supported tooth replacement. 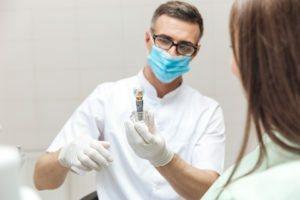 Then, talk to your dentist about how to increase your chances for successful implantation before beginning your implant supported tooth replacement plan.